The Titans Atlas and Prometheus suffer torments. Atlas bears the rock of heaven upon his shoulders and is tormented by the Hesperian dragon. 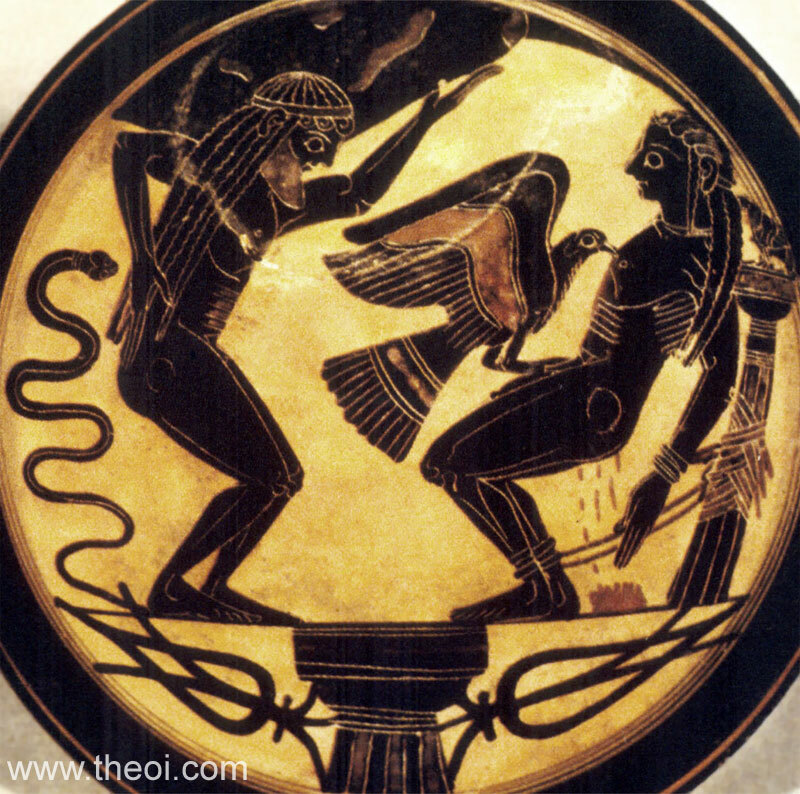 Prometheus is tied to a post and has his heart pecked by the Caucasian eagle.